The elves of Demi and Cooper Advertising have been busy with a new project—putting together designs for custom tissue paper. 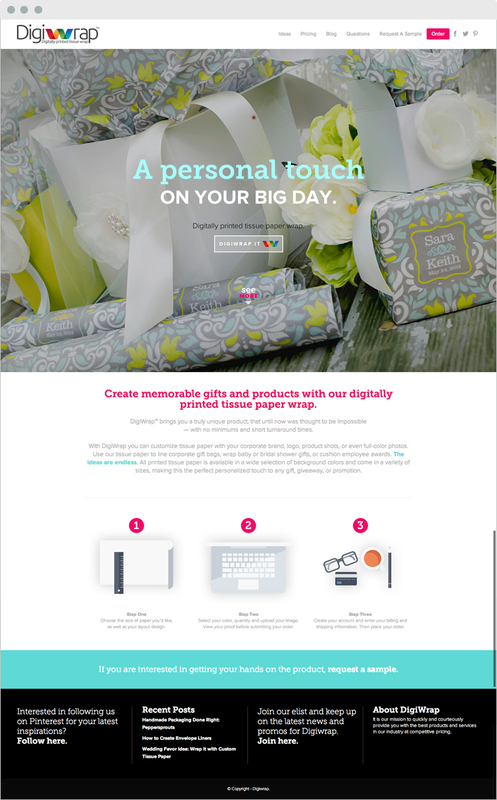 People across the country can now take their gifts to a truly Pinteresting level without any major effort, thanks to Danielle Murray, Art Director and packaging expert extraordinaire—yes, Danielle, I worked “Package” into your title—also thanks to one of our newest clients, Digiwrap. 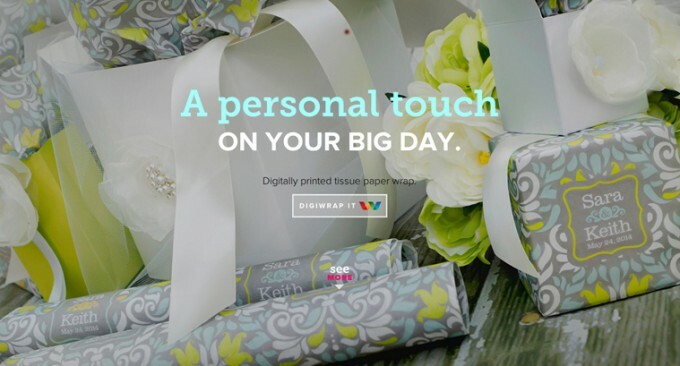 Digiwrap offers custom printed tissue paper which they are able to produce in large or small quantities. The fun product could be embraced by small businesses like boutique shops or even Etsy shops, product launches for larger businesses, events like groundbreakings, conferences, weddings, birthday parties, or showers, and more. They came to us before launching as a product to learn how we could help get the word out. We started by designing a website to show off the tissue paper and link to their online store. Danielle, our above-mentioned art director, loves this kind of product so much she wants to lick it. She set up an amazing product shoot, and Web Art Director Walter Ottenhoff featured it in a major way in his website design. Explore the site. Now we are working with Digiwrap to feature their capabilities. We understand that not everyone who might want custom tissue paper has a graphic design background to provide their own design. So we have put together a few tissue paper designs that allow the user to upload their own message and name to tissue paper, offering a personal touch for any gift. 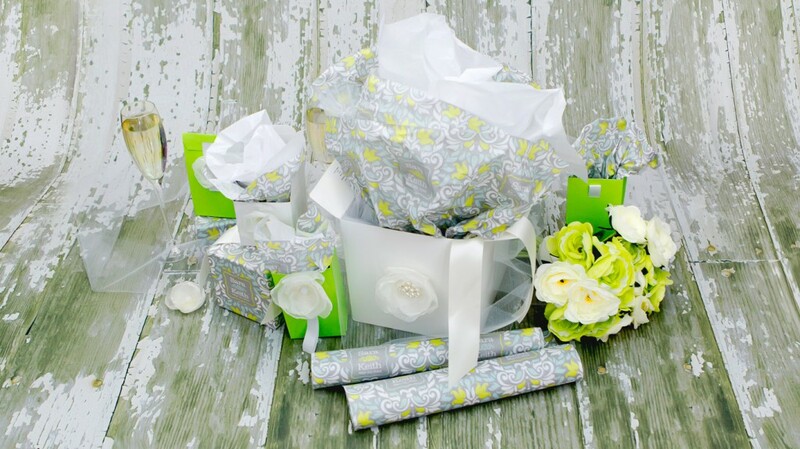 Above, see Danielle’s incredible custom wedding tissue design, which will take any wedding favor idea to the next level. Danielle put this together for the website photo shoot, and Digiwrap took her file and offered it in their store. 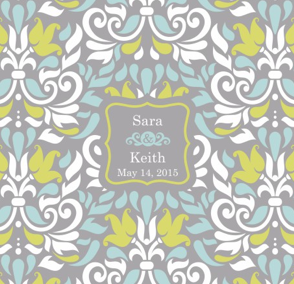 They made it truly customizable, allowing customers to not only include their names and the date of their wedding, but also to select their own colors. Check it out here. Now even a box of mints is sure to impress wedding guests. Are you interested in learning more about partnering with Demi and Cooper? Talk to us.